It is a balmy summer gulf evening, and as I walked into a dhobi shop [laundry] to deposit my weekly bag of clothes, I encountered Ram Milanjee, a stocky man in his late forties. He was watching a Bollywood film from the eighties, on his smartphone. Mumbai-bred Milanjee, now based in Lucknow, stores his favourite films on the phone. 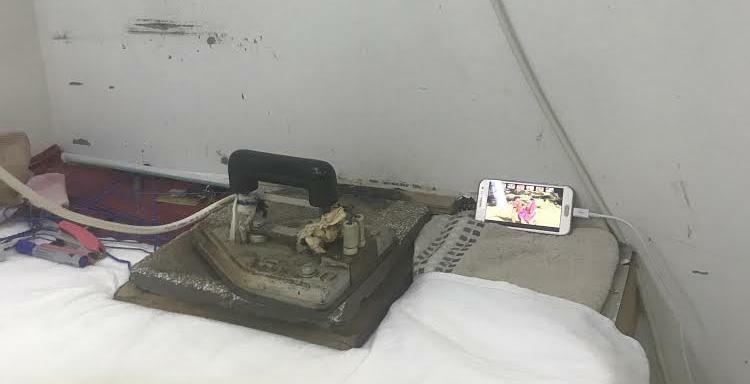 As he irons the clothes, these films occasionally give him company, when he has enough bandwidth. He reconnects with his past through Feroze Khan Westerns. He watches these musicals in Muscat—a land that is unfamiliar to him culturally. Movies have been a register of the cultural consumption of millions of South Asian migrants in the Gulf, as they capture ephemerally their sense of home. They watch a film of their favorite star on cable TV, on YouTube or simply on the phone, while on their breaks. Movie watching has shifted from the large film screen to the small phone screen. This transformation has democratized the access of cinematic content. But these are also lost opportunities for monetization, for film studios. The South Asian migrant community is a layered and complex group of people—trying to make a living on behalf of their many dependents back home. This ties the community together at a superficial level. Entertainment is often considered trivial and marginal compared to their everyday lived experiences. With the proliferation of digital media, access to movies has increased exponentially, in comparison to the early 1990s. Back then, there were only two movie theatres screening South Asian films in Muscat. Star Cinema screened Malayalam films for the most part, and Al Nasr (now Vox Cinema Ruwi) screened Bollywood and Lollywood fare. I watched many a David Dhawan-Govinda starrer at Al Nasr with my film buff Dad. We would eat Lahori samosa chole after the film, from a stall next to the theatre. The Pakistani eatery was caught in a fire accident recently, and I had a keen sense of my own memories being razed to the ground, along with the physical structure. Al Nasr was also the theatre I spent many afternoons in, after college, with my friends. We would watch the Hindi films that were playing. I remember Sanjay Leela Bhansali’s Saawariya, which was predominantly blue, and which I understood little of. This theatre has been around in the Ruwi area of Muscat for the past two decades. It used to be a semi-industrial area, now gentrified, with many more eateries and stores selling gold jewellery. You can see working class expatriates enjoying an evening out with their families. You can also see the locals, Omanis of Baluchi descent, watching a Bollywood movie starring their favourite Khan. Thursday evenings are busier and more joyful, the weekend is finally in sight, and films release in the Middle East a day before their release in India. 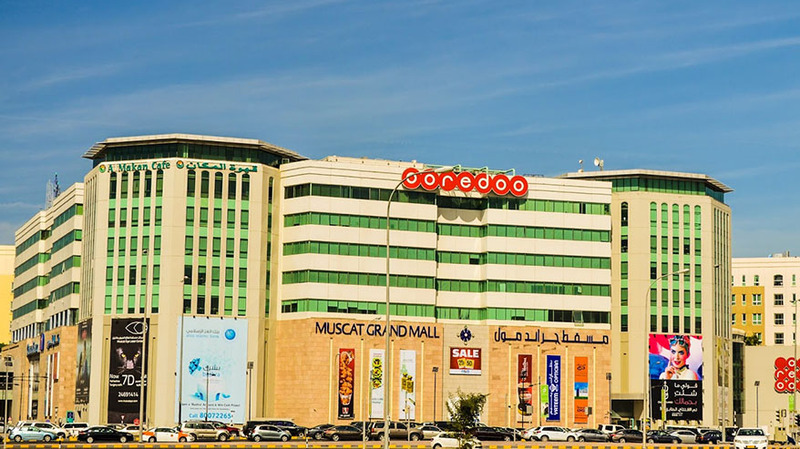 Al Nasr is no longer the same beast, it is being taken over by the Gulf multiplex chain Vox—the individual identity of the single screen theatre evaporating into the corporate branding of the multiplex chain. The local flavour of the theatre is lost for good. Movie watching is reduced to a homogeneous experience, from Grand Mall in Muscat to KLCC in Kuala Lumpur—sitting in cold spaces and sipping carbonated beverages. We can see how globalisation flattens the terrain, numbing the local in the process. The migrants mirror the socioeconomic diversity of their home countries. The working class migrant does not have weekly leave, only Eid provides some respite. The few precious days off are often marked by a celebration, in the form of a movie. It is an occasion to rejoice with friends, as they attempt to forget their Arbab or sponsor’s banter and the drudgery of everyday work, in those three hours. During the holy month of Ramadan, the theatres are inactive during the day, out of piety and respect. The mood is sombre. I was fortunate to watch the first show of the Rajinikanth starrer Kaala, on the first day, post Iftar. 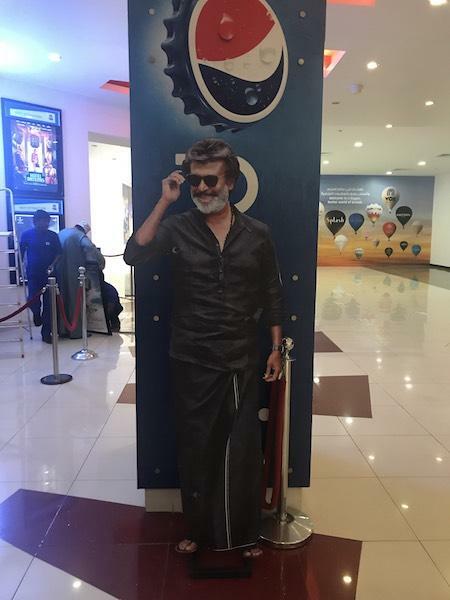 I watched the movie along with an over-enthusiastic Tamil diaspora, who kept themselves busy clicking selfies with lifesize cutouts of their favourite star, whom they affectionately call Thalaivar [leader]. Entire families had come to participate in this celebration, reliving the heady days of watching Rajinikanth films in their hometowns, connecting with their past while being separated from it by seas. It was an interesting juxtaposition, made possible by cinema. The movie watching experience varies according to your income, which determines one’s aesthetic and access. For the professional class migrant, the entertainment quotient has shifted to Netflix. But Netflix doesn’t come cheap, it demands a fast internet connection, which is out of reach for many migrants. I grew up in the 1990s, with VHS parlours to borrow movies from. I recall watching DDLJ—the film that defined Hindi cinema of the nineties—on VHS when it released in 1995. It was a scruffy video. Technology has leapfrogged a few generations since then. Movies resonate on different levels, from the cerebral to the nostalgic. Cinema is also a conduit for the diaspora, to negotiate the foreign. I would love to see a few stories from the Gulf featured in Hindi films—like Nawazuddin Siddiqui’s character in Lunch Box, who was a cook in the Gulf; or Irrfan Khan’s character in Piku, who returns with disillusionment and starts a call taxi service. Airlift told the story of the evacuation of Indian migrants during the Iraqi invasion of Kuwait in 1990. But it was loaded with flag-waving jingoism, and was not really representative of the daily lives of migrants in the Gulf. What about our real lives out here? Should the Gulf migrant just remain in the margins of cultural imagination, as a remittance node? Or as a meeting point for the mafia? We are more human than that surely. ← Why Bergman? Why not?